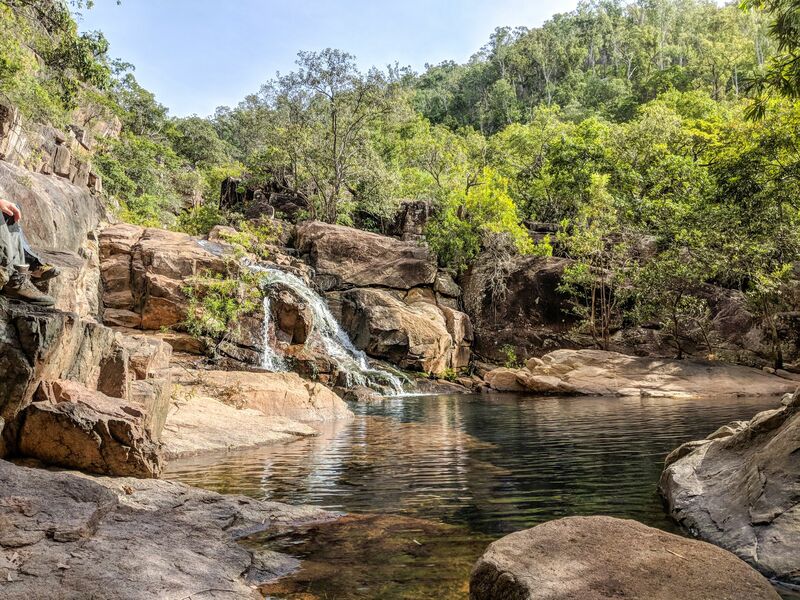 Walkers Creek is on the southern end of Mt Elliot range, part of Bowling Green Bay National Park (south of Townsville). 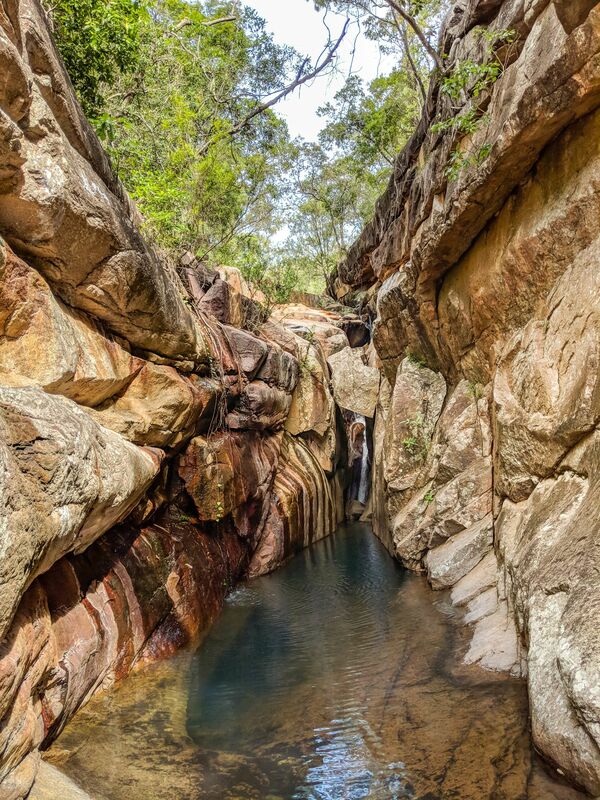 The easiest way to access this hidden gem is via private property. 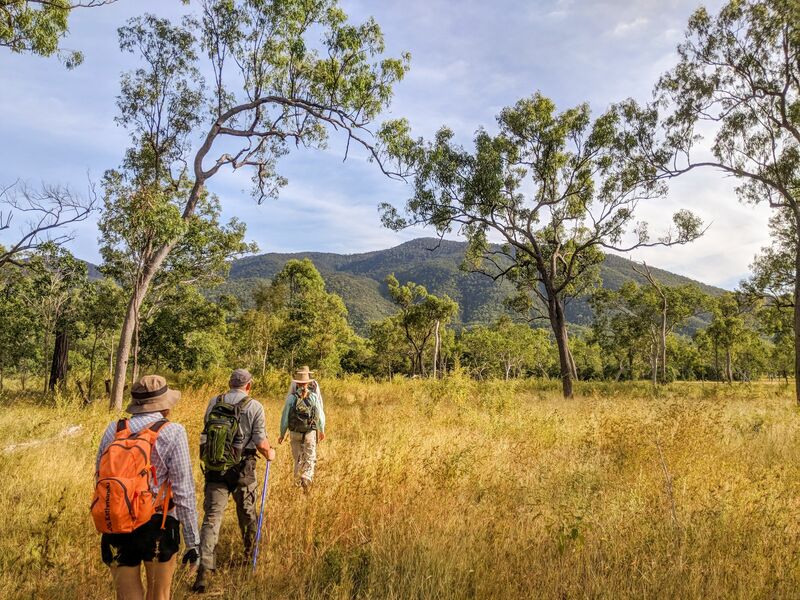 If you would like to do this walk, I suggest to go with the Townsville Bushwalking Club. It's an enjoyable cross country hike through long grass for about an hour to get to Walkers Creek. Then you'll be rock hopping and scrambling your way up the creek. 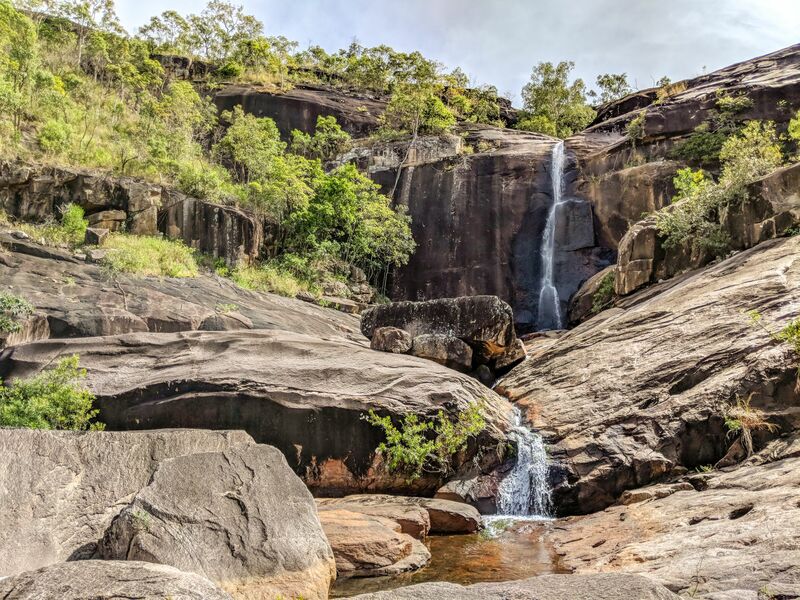 There are a few small cliffs that you can scramble up during which you'll pass several swimmable pools and after which, you'll be rewarded with a large cliff, with an impressive single-drop waterfall. 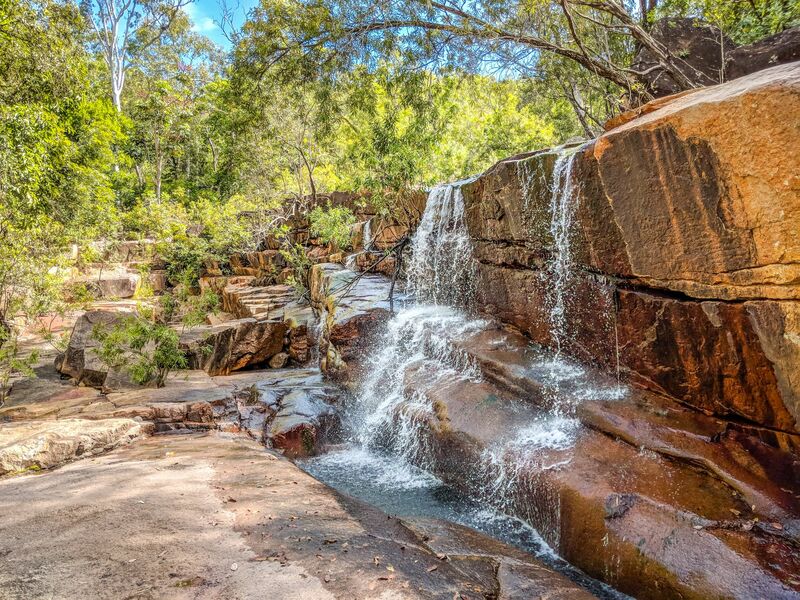 Once you arrive at Walkers Creek Falls, you can scramble up the slab on the right hand side or walk through dirt, small rocks, and a bit of vegetation around the left hand side. 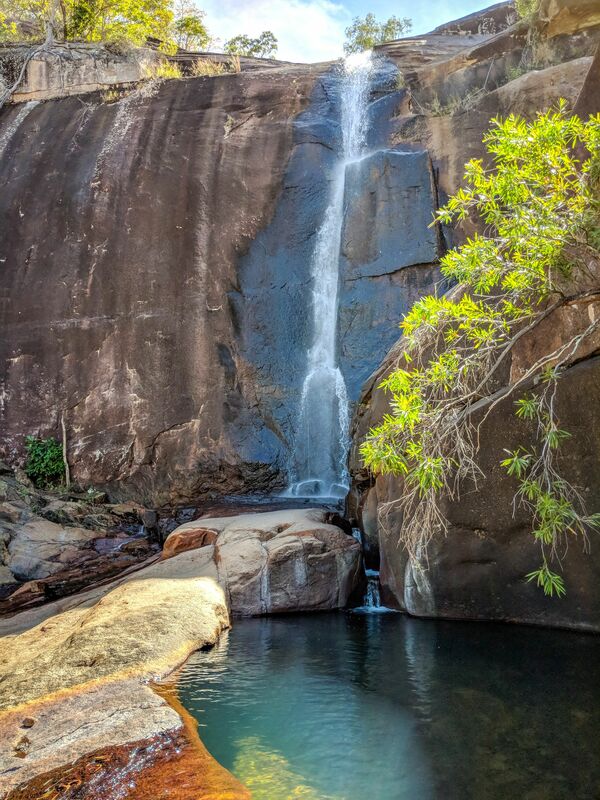 Enjoy the great views and a refreshing swim in the waterfall before heading back the same way. It's a reasonably strenuous walk for the beginner, as it's all uphill to the falls. However, experienced hikers will find it easy. 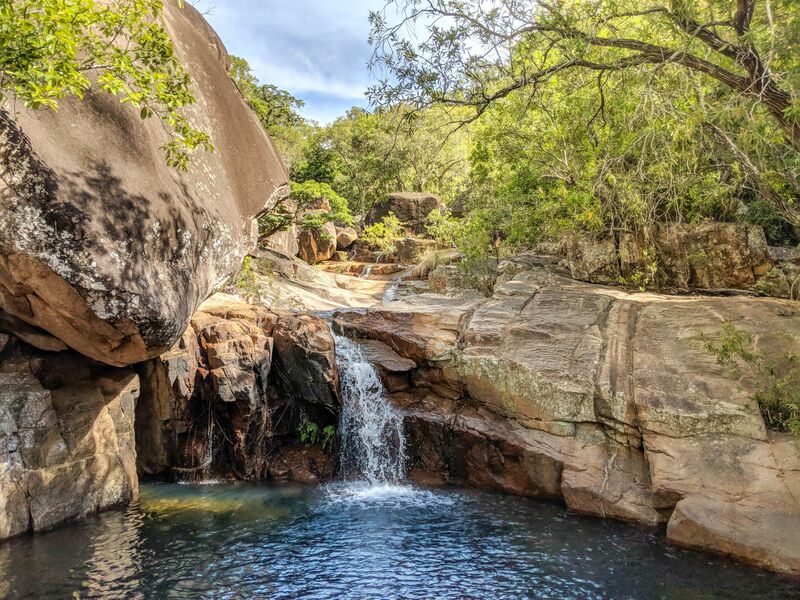 There are a few refreshing swimming holes along the way; take time to enjoy them. 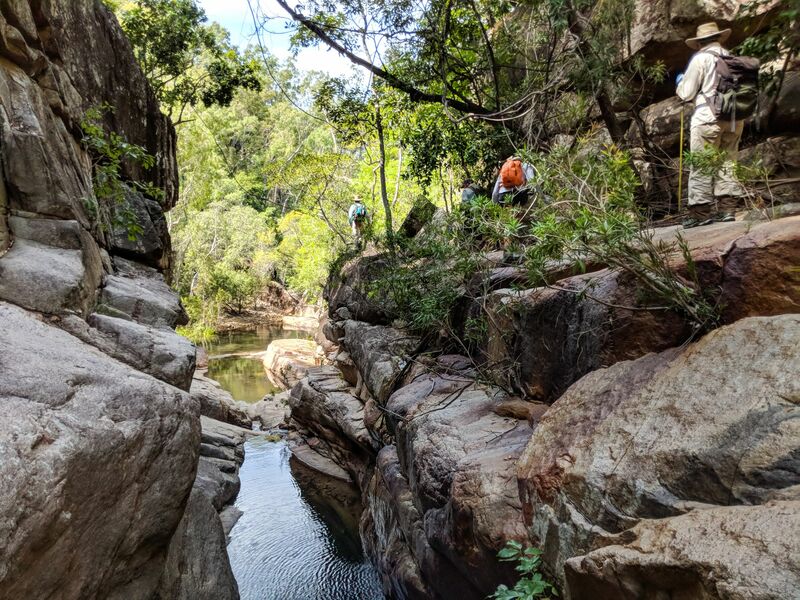 This hike is best done just after the wet season, before the creek dries up and when it's not too hot. Avoid going if it's forecasted to rain, as the rocks will be very slippery. Water - 2 litres. Refill from creek (use purification tablets or filter if uncomfortable drinking creek water). Food for the day, hat, sunscreen, mozzie repellant, swimmers, camera. Recommend long clothing to avoid scratches and cuts. Personal First Aid Kit (with snake bandage at minimum) and PLB.